It's official. We are up on the floor in the SSTU. Julie is gaining more and more strength. I went to The Village Baker in West Jordan today and brought her back a turkey sandwich. If you haven't had one from there, you haven't lived yet. She doesn't seem to have to make as much effort to breathe today, and she's getting more active in her care. Cystics in general are a bit of an anomolie when it comes to patients. When they are in the hospital for 'clean-outs' as their standard care, they typically don't look very sick, or act sick. They are awake, alert, and super paranoid about germs, mistakes, and their lives in general. A few weeks ago, I was doing an in-service for work at one of the local DME companies. The RT who was there was a student and asked if I had twins. Then she asked if my wife has CF and I said yes. I told her that she was currently admitted at the U of U for a clean out. She told me she saw her as a student while doing her rounds just a few days prior and when she entered the room with the RT and the other two students Julie immediately asked "Did you guys wash your hands??" It takes nurses and clinical staff back when a patient is like that, but most of them respect it and are happy to see a patient taking an active role in their therapy. Julie is around nurses right now that don't typically see Cystics and I can sense the surprise as she asks them questions and gives her input on what they are doing. She just said "I wonder why those tubes that create suction for my chest tubes just drag on the ground". Its her passive aggressive way of saying, 'get rid of those, they have germs on them'. The nurse is throwing them away as I am writing this. Julie and her doctors are pretty paranoid about getting anything right now, and due to the nature of transplant and anti-rejection, we are asking that no one except for our parents come up to see her. We are appreciative and happy that everyone is excited but its not worth the risk right now. Thank you for understanding. I have had a few of you ask about her CF disease now that she has new lungs. Julie is CF free in her lungs. 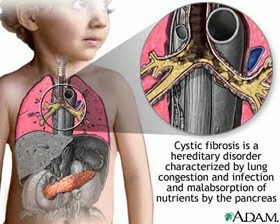 Since CF affects the epithelial cells however, (semi-permeable cellular walls), she will still have CF in her digestive tract, and her pancreas. Having it in those two organs is very manageable. She secretes digestive enzymes, but the mucus decreases their function so she takes digestive enzyme pills with her meals. The same thing is going on with her pancreas; she still produces natural insulin, but the mucus makes it harder to get into the system. She manages her CF Realted Diabetes (CFRD) with 1 unit/15 carbs, similar to a Type I child onset diabetes. She suffered the most prior to transplant because the mucus was building up faster than we could thin it out and was a great harbor for complex bacteria like pseudomonas aeruginosa among others. She has traded treating her CF in her lungs to having healthy lungs and managing anti rejection drugs. The clinicians do the managing, and Julie is the compliant patient. She is getting annoyed at staff who aren't willing to get her anti rejection drugs prior to the very minute she needs them. She has started asking for them a half hour before. Again, she is heavily involved in her care. Julie was just in a lot of pain. Dr. Carveth is helping to sort out a solution to help stay ahead of it. She said it seems to happen at night more. They are taking good care of her. Its been about a half hour and the drugs have kicked in. She just said, "It's amazing how much you need those pain meds." Shes on two 7.5 loritabs every 6 hours with morphine iv prn (as needed) She hasn't needed the morphine very much until this episode since they only gave her 1 lortab at lunch. They had given her morphine before that for the chest tube removal.